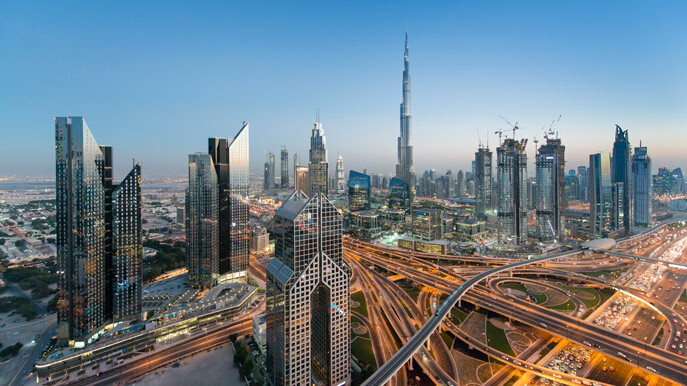 Search for the best flight prices from Manchester to Dubai. Compare prices, book today and save money with Manchester Airport. Its breakneck speed has taken the world by storm. Today, the ever-evolving Emirate boasts one third of all the world’s cranes in a space the size of a small British city. Dubai has audacity, modernity and quality in equal measure... and although the building work won’t be finished for decades, it’s a spectacular global crossroads. Dubai flaunts its glamour on its sleeve. Treat yourself to the opulent Moorish fantasy of Al-Qasr Hotel (Jumeirah Beach Road) with its 2km stretch of private beach. Atlantis The Palm (Crescent Road, The Palm) is another luxury abode showcasing a dazzling Arabic-influenced design. It boasts a waterpark as well as its own beach, making it a great choice for families. There are plenty of mid-range and budget accommodation choices in the Al-Wasl area. Villa Rotana (Sheikh Zayed Road) is a friendly option with good-sized rooms offering cityscape views, while the citrus-toned rooms of Corp Executive Al Khoory Hotel (off Al-Wasl Road) are a Dubai steal. Known for its flashy, gargantuan malls and its residents’ shop-till-you-drop mantra, Dubai has brand names galore and excellent gold jewellery. You could spend all day (and probably get lost) in the Mall of the Emirates (Sheikh Zayed Road) with its ski slope, restaurants, entertainment and shops. As much sight as shopping opportunity, Ibn Battuta Mall (Sheikh Zayed Road) is worth a visit for its architecture alone which is based on the geographic travels of its namesake, the famed Arabic medieval explorer. For less glitzy shopping, don't miss the Dubai souks area in Deira. Here, you can browse spice, textiles, gold and metalwork amid the winding alleyways of the oldest part of Dubai. Dubai's restaurant scene offers up globetrotting feasts which cater to everyone's fancy. The glitziest restaurants and bars are all in the hotels. If you can't decide what to eat, Jumeirah Beach Hotel's Latitude (Jumeirah Road) offers a menu which ranges from Japanese to Italian, while Fogueira Restaurant in the Ramada Plaza (Dubai Marina) is all about barbecue feasts. The Noodle House (Sheikh Zayed Road) offers well-priced Asian dishes which won't break the bank. As much as an experience and sight as a bar, the suitably named Skyview Bar (Burj al Arab, Jumeirah Road) is the see-and-be-seen place for a cocktail or afternoon tea. The self-proclaimed world's top shopping destination hosts its own month-long celebration of retail therapy. Malls hold massive sales so it's the perfect time to grab a bargain. A series of concerts, family activities and fashion shows are hosted at the same time. This series of concerts highlights the wide-ranging jazz genre bringing both well-known musicians and up-and-coming artists together in the city. This five-day festival is the Middle East's largest festival celebrating the written word. Authors and writers from across the world take part in a series of public readings and discussions. A family-focussed programme of entertainment takes place at the city malls while the shops hold big summer sales. Celebrities from across the world of film descend on the city for this week-long celebration of new cinema. It's a great occasion to catch premieres of regional movies and documentaries as well as films from Africa and Asia.